Start your home search here. 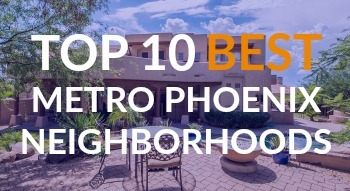 DiscoverPhoenixListings.com offers access to every property listed in the MLS. 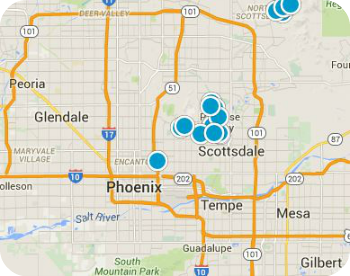 Use our premier Advanced Search tool to find properties in Chandler, Scottsdale and throughout the Phoenix area by the criteria that matter most to you: like homes with pools, golf course homes, new construction, gated communities and more. Let your dream home come to you. Sign up for a home search and you can save your favorite properties, get instant notification of new listings that meet your criteria and be the first to learn about price and status changes of properties that interest you. Know the area. In addition to sunny skies, year-round warm weather and plenty of cultural and recreation opportunities, the Greater Phoenix area is filled with beautiful communities and neighborhoods. Want to know about schools, amenities or commute times? We have all this information and more. Put a professional to work for you. Contact Us today for more information about living in Phoenix, to schedule a tour of any property you find on this site or to find out what your home is worth.